Forum Specific Announcements. Post suggestions, problems, etc. Any other content not related to the running of the forum will not be allowed to post here. Updates and Announcements from ADI. 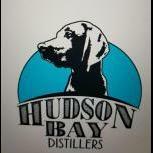 New to distilling, or thinking of becoming an artisan distiller? This is the place to ask about it. If it doesn't fit anywhere else put it here! Distilling related topics here only please. Discuss the production of spirits. Please post Distillery safety related info here. For those non standard products. Discuss ideas and ask questions about getting customers to buy your products. Discuss distributors, distribution and the three tier system. TTB, FDA, EPA -Put all those federal inquiries here! Discuss state level government issues. Discuss issues related to State guilds, starting a distillers guild, networking,and collaborating on common issues. WA guilds, lawyers, etc ? Discuss issues related specifically to the distilled spirits industry in Canada, including issues related to provence and national government. Looking for work? Post your request here. Starting a business? Need partners? Got money? Need money? Got a farm and need a distillery? Post it here.